Hi I would love to solve this issue I have with my APC40 and Ableton Live 9. 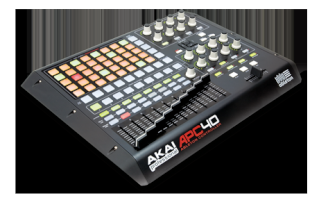 I have used my APC now for 2 years and I consider myself quite knowledgable on the use of it with Ableton. My situation is this, I have hard mapped different pages of the bottom right hand side encoders using the shift button and selecting the different pages. Various Macros for an effect rack that I built. My problem is when I move from one page to the next my APC does not remember the knob values and would jump to 127, I have enabled Take over mode to pick up in Ableton's Midi preferences to try to alleviate the issue. Is there a way to hard map my APC the right way to remember the knob values between pages so my led's on my knobs are giving me the correct information when I move between pages and does not jump to 127 or any random value. Please let me know if anyone can give me some feedback.